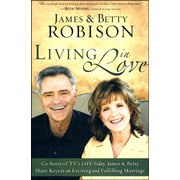 Living in Love, by James and Betty Robison. James and Betty have been married for nearly 50 years and say "we are more in love now than ever before". What did I like about this book? Their honesty. They don't just talk in general terms. They speak from their hearts about experiences in their own marriages. They talk about where they have been and how they have got to where they are. I particularly liked the section on dealing with the baggage that we bring into our marriages, how it effects our marriage and ways to help let it go. I also enjoyed the section about building up our spouses, to never betray your spouses trust. If you seek counseling, make sure you are there to get better, not to gossip and tear-down your mate. Also, remember that no one is perfect. Sure your mate has faults. But so do you. So remember to be forgiving and supportive. I enjoyed reading this book and gained some insight and encouragement that will be useful in the years to come. The state capital game looks very interesting. I just may have to get that one. A creative in-depth encounter with natural science from a biblical perspective. Adaptable for Second to Seventh Grade. A gigantic 272-page book plus Teacher's Manual with free audio CD! We have had a lot of trouble finding a science curriculum that we enjoy. So we have used living books and unit studies, for the most part. When this book came up for review, I jumped on board. You will receive a very detailed teacher's manual, a workbook full of reproducible printables, and a CD of songs/poems to go along with several of the lessons. Eagle's Wings is a Christian program. 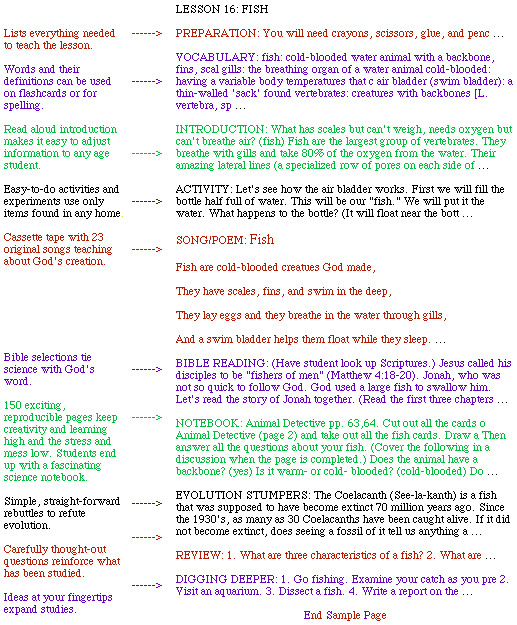 It includes a short Bible lesson corresponding to each lesson and an occasional Evolution Stumper. So depending on your Worldview, this may or may not be a good fit for your family. The book has a nice variety of topics, starting with Creation. From the solar system to genetics. From food chains to clouds. Since we only had a limited amount of time to try out the book, I chose the topics I thought would be of interest to the girls. We studied clouds, whales, amphibians, and more. Their favorite one was about whales. 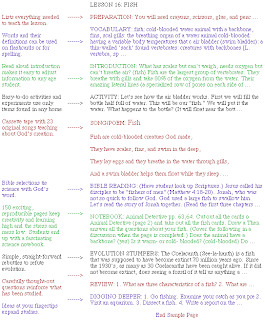 In any given lesson, you will find vocabulary words, a brief lesson, a tie-in to a Bible lesson, some really neat worksheets. 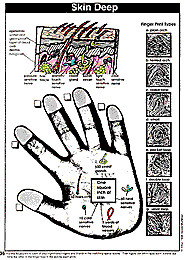 The lessons are not very long, but the hands-on activities are a nice touch. And the teacher's manual includes ideas for deeper study and more projects. If you used the book and all the given resources, it would be more than enough for a very nice unit study on a wide variety of topics. I would have liked for the lessons to have a little more detail, to be a little more in-depth. But as I mentioned, that is where the additional resources come in. And it would be difficult to cover so many topics in one book if they had provided a lot more depth. The worksheets were my favorite part. They are really nice. Many of them have a lapbook feel to them. The workbook is reproducible. So you just make as many copies as you need for your family. An added bonus is the CD containing songs written for and relating to several of the lessons. Music does wonders for helping learn and remember facts. Science is no exception. You can listen to some sound clips on the right-hand side of this page. If you have more questions, you might find them on the FAQ page. Read other reviews here once available. Disclaimer: I received these books free of charge to review, as part of the TOS Homeschool Crew. The above is just my opinion. Please remember that opinions may, and do, vary. 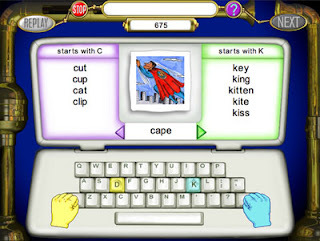 Wordy Qwerty – Foundations for Reading and Writing Fluency, takes 7-9 year olds through the next steps of reading and writing fluency, and picks up where our award-winning software, the Read, Write & Type Learning System leaves off. After successfully completing Read, Write & Type!, most 6-7 year olds are able to write any word they can say. But they may not spell them all correctly, because they need to know a bit more about spelling conventions and about how words are constructed in English. This is where Wordy Qwerty comes in. In 20 consecutive lessons, woven together with fun-to-play games and delightful songs that will stay in their heads (and an audio CD they can play in the car or on their audio CD player). My daughter is 9 and in 3rd grade. She can use some help with spelling skills. She reads very well. But with unfamiliar words, she still spells using phonics. You know . . . spelling it just like it sounds. Sometimes this works. Sometimes it doesn't. I was glad for the opportunity to review a fun online program that helps teach spelling rules for the younger set. WordQwerty is that program. It consists of 20 lessons. These 20 lessons cover the following spelling rules. This game is geared for 7-9 year olds. Those who are reading well, but could still use some help with their spelling. All those tricky things like which words start with C and which ones start with K. Or which words end with -TCH and which just end with -CH. I found it to be very user-friendly, walking you through the 20 lessons one-by-one. 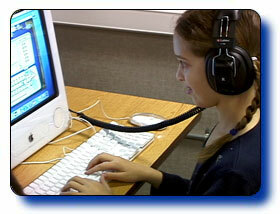 A child can easily sit down and use the program independently. It is colorful and engaging. The spelling rule songs are catchy. It seems like a fun program to use that can really help cement the most common and useful spelling rules. What did my daughter think? She felt it was too young for her and that she already knew most of what it was teaching her. But although she complained just a teeny bit when it was time to practice, I caught her many times singing along to the catchy spelling songs. Sometimes I even caught her dancing around and singing them. So in my opinion, it had her attention. I think it has been a help to her. Have your child try out the free demo. Disclaimer: I received this online program free of charge to review, as part of the TOS Homeschool Crew. The above is just my opinion. Please remember that opinions may, and do, vary. 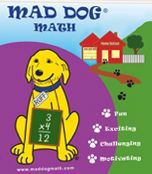 For teachers or home school parents, Mad Dog Math - at Home is a student-tested, Windows PC application that provides either an at-home or classroom practice experience that is just like the Mad Dog Math drills. Children LOVE it and can't wait to get their practice minutes in. Try our free trial and we think you'll want your very own copy. 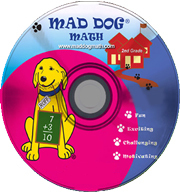 This download has ALL the Mad Dog Math levels at one low price. Don't miss it for either your classroom or home computer. You can find a free trial of the program at this link. It is a great idea to try out a program before purchasing it, whenever possible. The first step is to download the program. I found the directions to be a tad-bit confusing. I was successful in loading it on my laptop, but not on my desktop. So instead of spending anymore time trying to figure it out on the desktop, I had the girls continue to use it on the laptop. The second step is to have your child login on the drill game. If they aren't logged in, they won't get credit for their drill work and it won't count towards the stickers that they are trying to earn. My younger was playing the drills without logging in, therefore earning no credit for it. It would be helpful for the program to load directly to a LOGIN SCREEN; instead, it allows a child to begin playing right away without being logged in. The child is responsible for continuously clicking to the correct next stage. Such as going from the ADDITION OF FACT FAMILY 1 TO 4 to the next category of SUBTRACTION OF FACT FAMILY 1 TO 4. Or of progressing from 2 MINUTES time allowed to 1 MINUTE to 30 SECONDS. 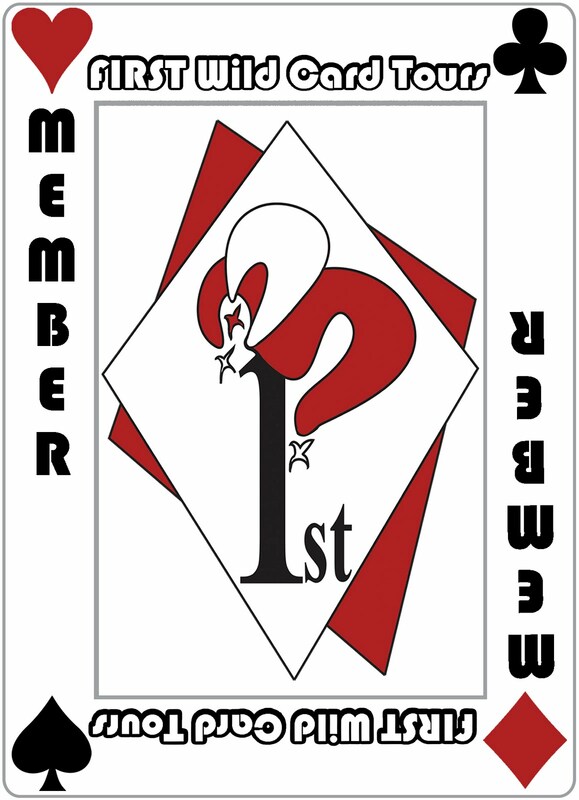 These progressions from one step to the next eventually lead to earning CLUB STICKERS. I would prefer for the program to handle this for the student, automatically taking them to the next level after completion of the previous level. Or at least giving an option of "Are you ready for the next level now?" I found the current setup to be confusing and it took a while for my children to get a feel for it. "When you do go on to the next drill, Ruff will show you which family is next. When he does, click on the math operation tab he tells you, and select the FACT FAMILY he tells you is next." 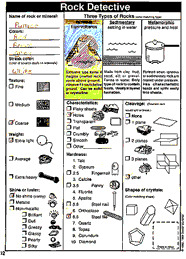 My children used the program with little complaint. I am sure it helped with their speed, as they raced against the "time allowed" time and time again, for the past several weeks. 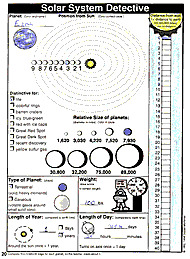 So it is a helpful and inexpensive means of math facts drill. Unfortunately, it wasn't a good fit for our family. My daughters didn't enjoy the program. They also didn't feel the club stickers were a very worthwhile reward for completing the time challenges. Feel free to read other reviews. Some crew members enjoyed the program and plan to purchase it. Disclaimer: I received this software free of charge to review, as part of the TOS Homeschool Crew. The above is just my opinion. Please remember that opinions may, and do, vary. 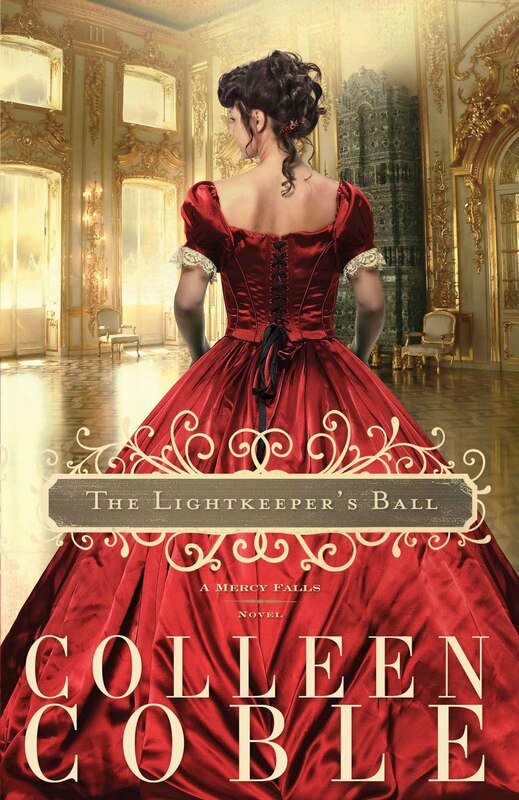 I picked this book because I love historical fiction. But to tell you the truth, when I saw it was a romance, I had my doubts of liking it. So many are just plain cheesy. No surprise, no twist. You know how it will play out by the first chapter. This one was a pleasant surprise. It was a romance, but it was also a mystery. And the mystery kept you guessing till the very last chapter. I enjoyed it and I recommend it. This program is recommended for children ages 3 months - 3 years. So I was happy to sign my 2 year old and try it out. 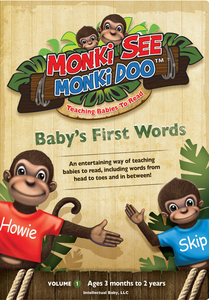 We received MonkiSee DVD Volume 1 - Baby's First Words and the book Know Your Monkey - A See and Say Story. 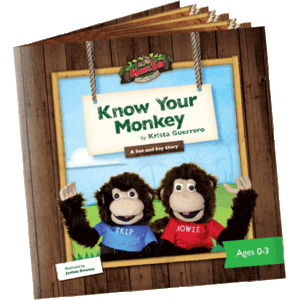 The mascots of both are two little monkeys named Skip and Howie. My 2 year old loves monkeys, as I would guess most preschoolers do. So this was a good sign. The recommended viewing is daily, 5 days a week for a month or so. For a total viewing of at least 20 times. The movie is about 30 minutes long. There is also a slide show of the 40 words to use as a quick review. 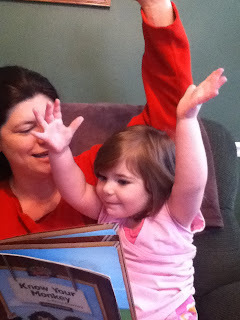 My daughter seemed to get a lot out of the slide show, which alternates quickly between the words and the pictures. It provided a quick review that she would interact with . . . such as pointing to her shoulder when it would review shoulder. The movie is filmed in Belize and includes several animals from the Belize Zoo. A delightful little video that takes turns showing each of the 40 words and then pictures to go along with it. Cute kids and cute animals and a catchy theme song. Sometimes my 2 year old daughter wants to watch it and other times she does not. That is fine because there will be plenty of times that she is willing to watch it. She likes it best when I watch it with her. She will watch and listen intently and sings right along with the theme song. It is a very cute song that she quickly caught on to. You may choose to use the book with the movie or on its own. It is super cute and again has the cute little howler monkey mascots. The pages alternate between simple phrases on one double-page spread, then Howie and Skip demonstrating those words on the next double-page spread. Monkeys have their mouths open with word "OPEN" over them on one side. Monkeys have their mouths closed with word "CLOSE" over them on other side. I like that it alternates between pictures and words. This allows me to trace the words with my finger as I read. 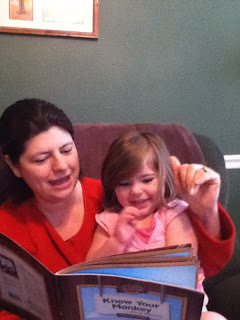 My daughter can focus on the words without the pictures to distract. Then the pictures on the next page help to clarify and reinforce the phrase on the previous page. And the pictures make it more enjoyable for the little ones. I like the book and the DVD. My daughter does as well. As you can see in the photos, she enjoys the book very much. I highly recommend that you read the story of Krista Guerrero, a homeschooling mom of six, and how this series came to be. Her enthusiasm is contagious and the history of the program will give you some insight into how it works and how to implement. Have you heard about all the gifts we're giving away just for subscribing to our magazine? Start enjoying a two-year subscription to a high-quality magazine packed full of insights from leading homeschool experts delivered right to your door. 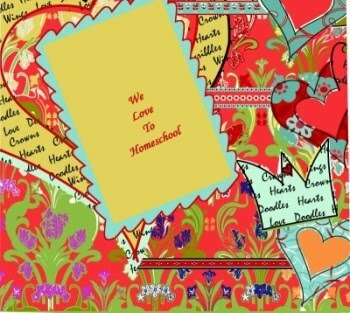 You’ll love flipping through nearly 200 PRINT pages of The Old Schoolhouse Magazine! Subscribe Now and receive a plethora of gifts worth over $300! You’ll receive hard copy books, DVDs, subscriptions to learning sites, CDs and more. CLICK HERE to see what we’ve got for you. And hey, have you heard about our new subscriber-only benefit called the Teacher's Toolbox? This is ABOVE AND BEYOND the 19 free gifts you'll receive if you are within the first 5,000 two-year subscribers. Teacher's Toolbox is our brand new password-protected site which is FULL of resources for TOS subscribers only! Believe it or not, you'll also get ALL of our digital back-issues on this site! You'll be reading for WEEKS! PLUS TOS is throwing in a 20th BONUS GIFT => a John Taylor Gatto E-Book entitled Hammering at the Walls of Public Schooling AND MP3 recording of him speaking on the topics of "Open Source Education" and "Everything You Know About Institutional Schooling is Wrong! Get yours NOW before we sell out! Don't miss your chance to get these 19 free gifts and access to our password-protected site stuffed full of educational material! *The 19 Gifts Promo is open to U.S Subscribers only. Disclaimer: I am posting this ad as a favor to TOS, a magazine that I truly enjoy. Yesterday's Classics is your headquarters for the best classic literature for children. We republish classic books for children from the golden age of children's literature, the era from 1880 to 1920. Many of the titles we offer have been out of print for decades and so have been hard to find. Now your children can enjoy these books that delighted generations of children at the beginning of the twentieth century. All our titles are offered in high-quality paperback editions, with text cast in modern easy-to-read type for today's readers. The illustrations from the original volumes have been included except in those few cases where the quality of the original images was too low to make their reproduction feasible. Except where noted, color illustrations in the original volumes are rendered in black and white in these editions. How would you like 225 classics for only 44 cents a piece? That's right! Only 44 cents a piece! That is exactly what you get with Yesterday's Classics ebook bundle. Yes, they do sell the printed version. And most are less than $12, which is already a good deal. But the best deal is with the ebooks. They are available in the Kindle format, which only works on the Kindle. And the EPUB format for everything else. And all for $99.95, with the special link above. Sure you would like 225 books. But do you have a place to put them? Another bookshelf needing filled? Well if not, the ebooks are just right for you. They take up no space, require no new shelving unit. Just turn on your reading device of choice, and there they are. Perfect! It is difficult to find children books worth reading. I find it hard to locate living books for history and science that my children will enjoy. Well, my search has just got a whole lot easier. These books are classics. Grand treasures from years gone by. I am loving these delightful reads. Our homeschool will be richer because of them. The variety ranges from classic novels, such as Pinocchio - our current read-aloud, to some great nature books, such as the Among the Meadow People series. If you have a way to view ebooks and you have a soft-spot in your heart for living books, then I highly recommend the stories from Yesterday's Classic. Disclaimer: I received this ebook bundle free of charge to review, as part of the TOS Homeschool Crew. The above is just my opinion. Please remember that opinions may, and do, vary.